The line between information technology (IT) and operational technology (OT) is becoming less and less defined as technology progresses at an ever-growing pace. 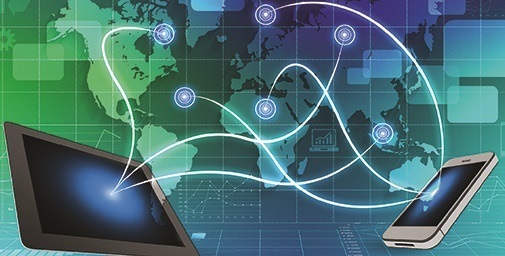 Establishing an information-enabled Connected Enterprise can help manufacturers address their business and technology challenges, allowing them to become more competitive, flexible and sustainable in the current global market. For that purpose, Rockwell Automation, the world’s largest company dedicated to industrial automation and information, in association with Cisco Live, Cisco’s premier education and technical updating destination or IT professionals, are staging a new and exciting event on 16-18 March at the Melbourne Convention and Exhibition Centre. This event, titled ConnectED 2015, will be aimed at improving collaboration between IT and OT in businesses and providing them with the opportunity to learn about how other customers are managing convergence to gain productivity and reduce overlap. Attendees at ConnectED 2015 will witness a world of solutions, combining seminars delivered by industry leading professionals, interactive ‘hands on’ displays, workshops and certified training courses. Those from the OT space will gain a better understanding of the tools, technologies and expertise available to assist bridge the gap, while those from the IT world will learn more about the specific network and technology requirements for operations. A key feature of the event will be the replication of a remote operating centre with live camera feeds for equipment residing within the display area. “By hosting ConnectED 2015 in association with Cisco Live, attendees can see first-hand how these two worlds are coming together to offer manufacturers’ agility, lower cost of ownership and improved operations. An added advantage of having both these events under the one roof is that registration for either one, includes free admission to the other,” said Mr Treeby. Rockwell Automation together with its distributors and PartnerNetwork™ will demonstrate how the recent acceleration of the Internet of Things enables new levels of connectivity for people, processes, data and things – ultimately providing greater productivity, better utilisation of assets, and improved decision-making to industrial companies.